Brought to you in conjunction with Greenbelt Youth Baseball Little League and sponsored by Modell’s Sporting Goods. 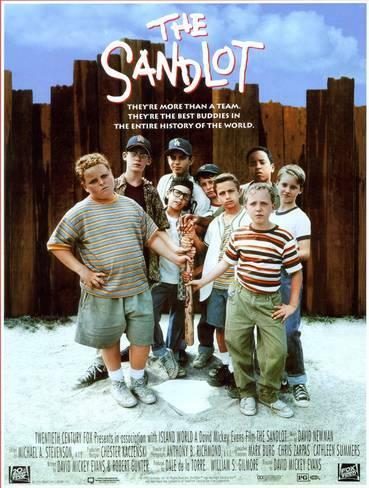 The Sandlot is a coming-of-age story about a group of young boys growing up in California in 1962. A new, shy boy (Thomas Guiry) moves into the neighborhood, where he is initially rejected by the local boys because he doesn’t know how to play baseball. Soon, he learns the sport and joins the group of boys who play ball in a local sandlot, and with his new friends, he has a variety of adventures.